Disclaimer: I received the Duet as a free review sample. 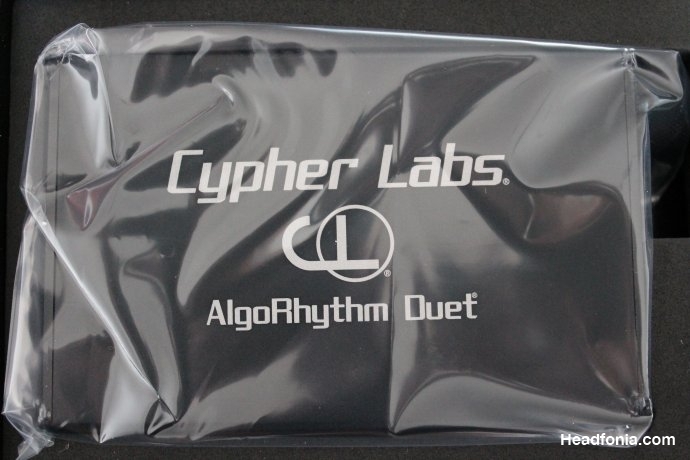 Mike sells Cypher Labs products in his store but he wasn’t sure yet about importing the Duet to sell it. I think he probably will after he read this. 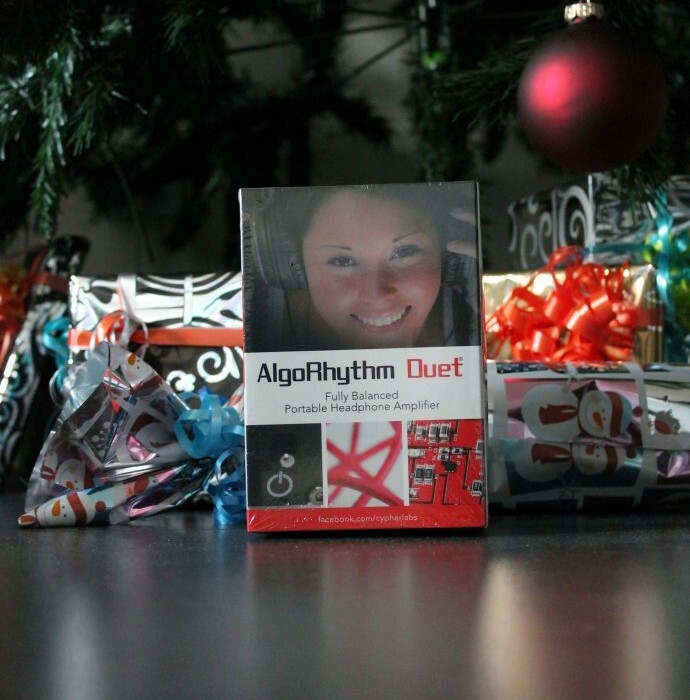 This is the first review on the Duet world-wide. 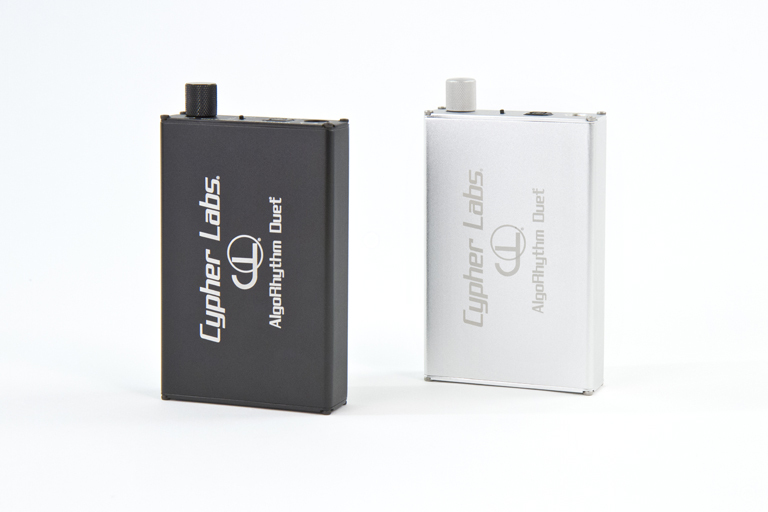 It’s no secret we love Cypher Labs products here at Headfonia and we’ve given positive reviews of every single unit they put on the market. 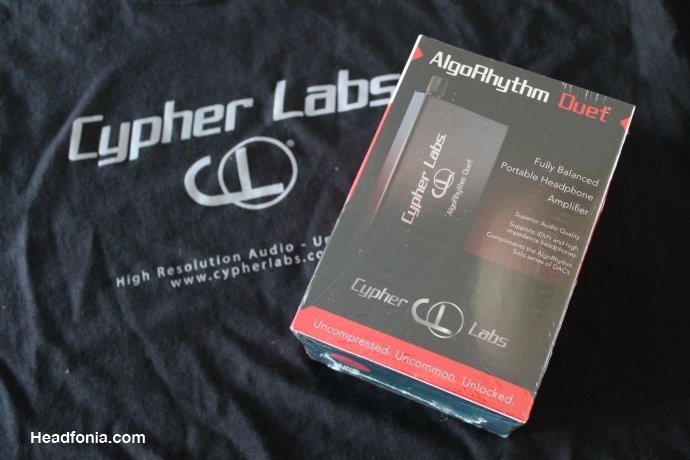 Cypher Labs isn’t a site sponsor in case some think that’s the reason, the real reason is that their products really are that good and I can’t think of anyone that has listened to one of their units telling me it didn’t sound good. 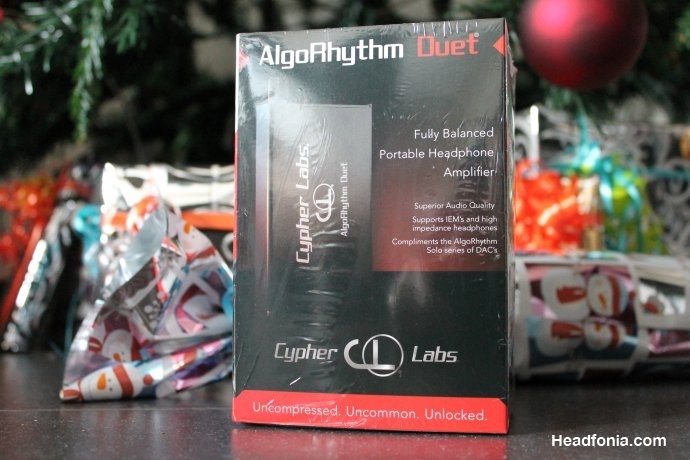 Those of you who read our 2013 closing article (shame on those who didn’t) would have noticed that Cypher Labs products were in three of our writers’ 2013 top products. That says enough. On the other side that also means we have very high expectations of new CL products, so I fear the day we’ll have to write a negative review on one of their units. Will this be the day? I can’t remember if I talked about this in the Theorem article, but in a long gone past Cypher Labs and ALO Audio were partners where CL supplied the DACs and ALO made the matching amps to go along. For some reason their business deal stopped and ALO is no longer even selling CL products in their store. That meant that CL had to start building its own portable amplifiers and the Theorem was the first result though that of course incorporated a first-class DAC. The Duet is a stand-alone amp. While the Theorem sounds superb it however has 2 small downsides. First of all when you connect sensitive (C)IEMs you can very clearly hear a hiss when connected and during silent passages. Secondly there is a slight channel imbalance at very low volume, so it’s mainly an issue for the IEM users. 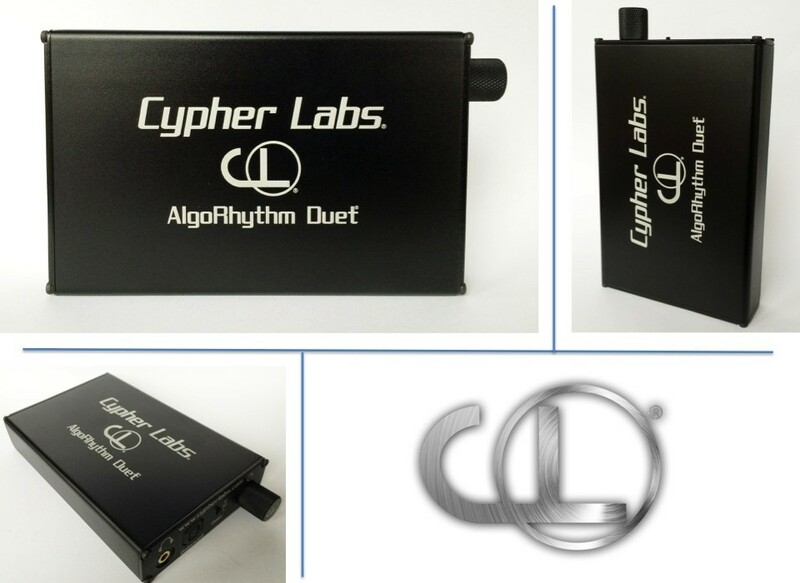 As a reply to this, Cypher Labs – right before the ending of the year – surprisingly released a new portable amplifier called the Duet. The Duet was developed with IEMs in mind but is powerful enough to even drive the orthodynamic headphones. We’re used to a very high quality finish and a truck load of bonus accessories with every CL product and with this Duet this is no different. You get the rubber bands, the leather pad, cables and this time even a real EU power plug to connect your USB charging cable (I complained about that before). In contrast to the Theorem, the Duet comes in matte black and not the shiny black finish. The Duet’s look matches the Solo –R and –dB but as you can see in the pictures it doesn’t match with my original Solo and Theorem. I however doubt this would be a deal breaker for anyone. 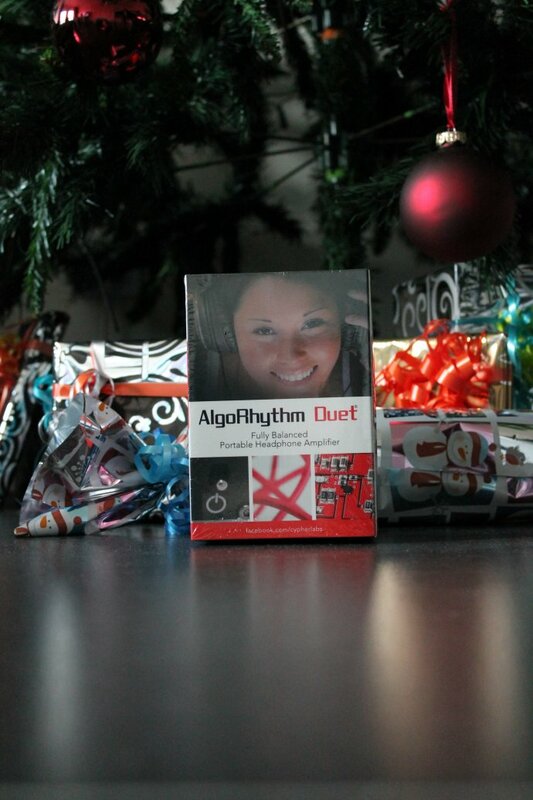 Size and shape are identical to the Algorhythm product line. The Duet is a fully balanced analog amplifier, which means it has a balanced input and output (mini-4 pin) next to the single ended 3.5mm in- and output. Like the Theorem it has an awesome fast re-charge battery that will give you up to 12 hours of play time! The Duet features 3 gain settings: Low is -6dB, Medium is +3.5dB and High is +15dB. “Volume gain settings are optimized for all headphone types” according to CL. I myself used low or medium gain with my IEMs and Medium and High gain with the Orthodynamic headphones. The exact power numbers in balanced and unbalanced mode can be found on CL’s website. I used two different setups to test the Duet. One was a full on-the-go iPod and Cypher Labs dac/amp setup (80% of the time) and the other was a desktop setup where I used Jan Meier’s detailed CORDA DACCORD DAC (review soon) in combination with the Duet amplifier. 50% of the test was done with IEMs (Cosmic Ears custom BA4 & RHA’s MA750i dynamic driver) and the other half consisted of full sized headphones like the Sennheiser HD650, Philips L2, Hifiman HE-500 and of course the popular Audez’e LCD-2. Power wise the Duet seems slightly more powerful than the Theorem but I don’t see anyone needing this much power in a portable setup. The Duet could easily drive anything I plugged in to it. With the Theorem my custom IEMs (Cosmic Ears BA4) gave a lot of hiss so I was looking forward to trying them on the new Duet. I can’t really say there is no hiss but it is only a very small percentage of the hiss the Theorem produced. That means you really have to listen for it at zero volume to hear it. When you up the gain and max out the volume(?!) without a source connected you will get a bit more hiss but in realistic listening conditions I could not hear any hiss, even at the low volume I listen to. Goal one achieved! There are no grounding hum issues when plugged into the charger while in use either. I can reassure you the very faint hiss of this amplifier will not bother you because it’s that faint. The channel imbalance of the Theorem I mentioned earlier is completely gone and the volume is tuned fine enough to listen at very low volumes with in ear monitors without any issues. Goal two: Check! Compared to Theorem, the Duet’s sound unfortunately is less dynamic and it has a smaller but deeper sound stage. That might be an impression though as the lesser space between the instruments with the Duet might cause this. The Theorem sound is more airy while the Duet’s sound is fuller and more concentrated. CE BA4: While I love the BA4 as it is, I do prefer using it with an amplifier that focuses more on bass and mid range. I explained in the CE BA4 review a few weeks ago I preferred using them with the JDSLabs C5(D). The Duet doesn’t just do the same as the C5(D) but it does it better. You get a full and deep clean sound with a bit of extra bass impact. This is the portable amp I will use from now on with my CIEMs! RHA 750i: I really should use this Dynamic Driver IEM a lot more but that’s not easy when you have customs that sound great. The MA750 really is a good earphone, especially for its price. When combined with the Duet you get a smooth sound with of course the nice bass and a gorgeous mid range. Exceptionally treble was a bit hot but not that it bothered me. A combination I can fully recommend. Based on this experience I do think the Duet will be a great amplifier for IEMS in general, that is of course when you want that bass and mid range emphasis. 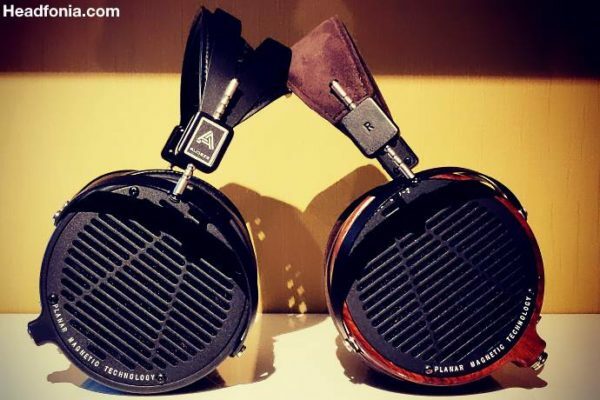 With the Audez’e LCD-2.1 and Sennheiser HD650 there is a nice pairing at high and medium gain. 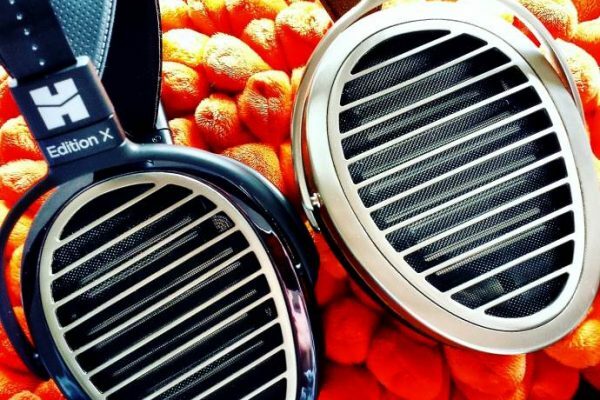 You get big bass and a full mid range and there is more than enough power but the best pairing was with Philips’ L2 and the Hifiman HE-500. The extra bass and mid range focus combined with the characteristics of the HE-500 (huge sound stage and detail plus treble extension) make this a great sounding combination. It’s been a very long time since I enjoyed the HE-500 this much on a portable setup. We all agree the Philips L2 is a terrific headphone and while it doesn’t need an amplifier to shine it is gorgeous with the Duet (on low gain). If you read our L2 review you might remember Mike saying he was only missing some bass, well in combination with the Duet the bass is perfect for me. And saying it is perfect means a lot, I now even wonder if I shouldn’t have put it in my 2013 top product list. So in case you are wondering: overall the Duet is not the same sounding as the recently released resolving, spacious and dynamic Theorem. Yes the Duet is quiet and doesn’t have any minor issues and if you want a very clear sound and bass and mid range focus and can live with the smaller sound, the Duet is for you. For IEMs the choice is easy, the strong points of the Duet make your IEM extra good as most of the better monitors aren’t necessarily tuned with a focus on bass. For full size headphones the Duet can be a great match if your headphone can use a bit of bass and mid range focus. For the moment I unfortunately don’t have an ALO RX MK3 with me but it’s clear that the Duet is the most quiet one and the better suited one for IEMs. Over all I would say the Alo amp sounds more powerful but I should really say it sounds more aggressive than the Duet. Both are very good amps though and I hope Mike will be able to add a direct comparison to the Duet soon. So is the Duet a good amp? Yes it certainly is, especially with IEMs and a selection of full size headphones that already have a wide sound stage. 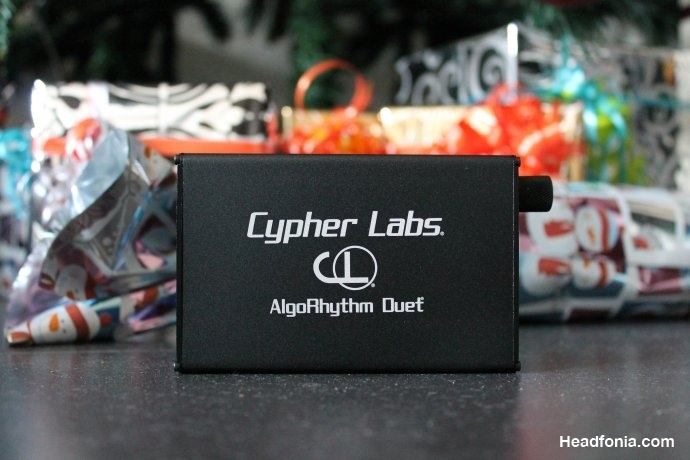 Am I as blown away with the Duet as I was with all the other Cypher labs products? Honestly maybe not as it is less revolutionary than I am used to from CL but it still is a nice and good amp, don’t get me wrong on that. Personally I just wished it resembled the Theorem (amp)sound a bit more but that’s my personal preference. The thing is I am now carrying two full portable Cypher Labs rigs with me: iPod + Solo (original) + Duet as well as iPod + Theorem. I just leveled up on the craziness scale, I know. 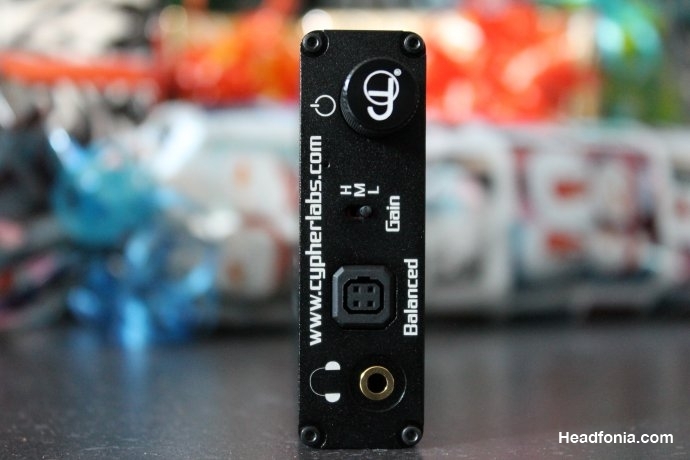 But that way I can switch between amps depending on the ear/headphone used and keep the top quality sound the Cypher Labs units are guaranteed to deliver. Cypher Labs, I still love you! The Duet is available for $599 on Amazon.com (directly from Cypher Labs) and it will be available at dealers soon! How is the duet vs ray samuel’s balanced sr71b and invader? Mike will reply to that soon, I don’t have the RS, sorry. 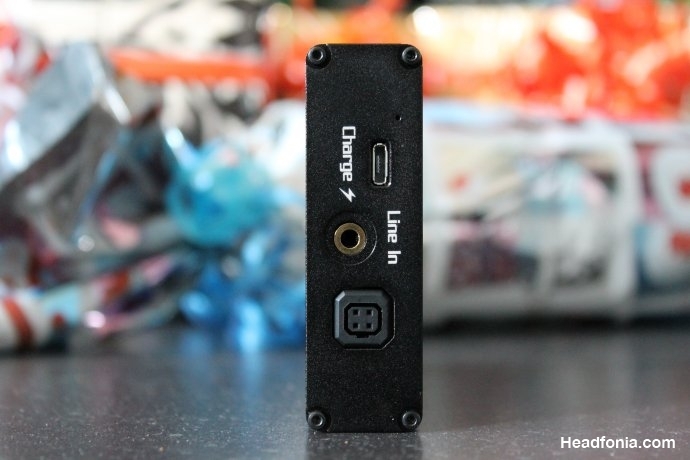 My biggest concern is whether the duet will have the signal splitter like RSA amps and ibasso PB2 has. Do we know what happened between CL and ALO? Just bein’ noisy. Great review as always, L! are you using the duet w/ only single-ended backend? maybe that’s why you don’t find it to sound as airy/spacious as the theorem? have you tried the duet w/ the clas -dB in fully balanced (backend) to compare to the theorem? Have you heard any of the other ALO amps other than the RX MK3?? How do they compare to the Duet, specifically the International and the Continental? Lastly, would you consider it the best portable amp pairing you’ve heard with the Fidelio L2?? Thanks a lot!! I have listened to all of them but I don’t have any here with me. Mike will have the Duet shortly, he will be able to give you a detailed answer as he has all the ALO amps available. Thanks for the quick reply L!! Yes the DUET is on the way to me. The DUET sounds like the amp I would prefer to the MK3, based on L’s review. The MK3B+ should me more dynamic, while the DUET has blacker, fuller bass sound. Are you going to post your own impressions as well to add to L’s?? I can.. do you want me to? Hi Mike, does mk3b+ still hissing with sensitive iems? It does, but balance at low volumes is now perfect. Noise is a bit better controlled than previous MKIIIs, but it is still high. DUET has very very little noise in its output circuit. Hi ohm, thanks for the answer. 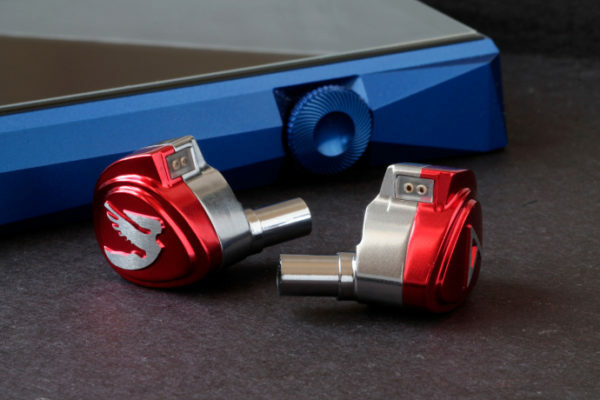 So you more prefer the duet than mk3b+ for sensitive iems/ciems? How compared to RSA Intruder? Im confuse to find suitable amp in this price bracket, I used sensitive iems and Fostex T50RP. So this amp I choose should dead silent and powerful enough to drive my orthos. I’ve not spent enough time with the Intruder to really tell you what I prefer, but I can say with some certitude that the DUET is at least as good for IEMs and still has power enough for full-size headphones of most current-requirements. Thanks Nathan for helping out here. Always got your back. You guys is my favourite! I may also be able to help. The DUET is by far a better earphone amp than the Continental is. It sustains incredible detail and resolution across the board when using even the most sensitive and high-current low-Ω earphones. But then it outputs a good amount of power from medium gain onward for low current high-Ω headphones. Very little noise, something the Continental cannot boast. It performs better than the International, but isn’t quite as fun to take around as it is larger. If balanced isn’t that important, another to really consider is the Vorzüge PURE II. I just can’t comprehend why companies keep using these crappy connectors! I find myself not using the balanced functionality of my ALO RxMk3b as a result of it. The connector is made of cheap plastic, with very thin pins, and they can’t hold a connection for more than 5 minutes if you have your amp in your pocket whilst moving about. I’m currently use clas db and alo continental v3 with hd650. Do you think i need to change to duet. Thank you so much !!! Thanks Lieven, i will keep my Alo continental v3, but can you compare duet with it. About soundstage, midrange , bass and high. I’m not sure if this must sound like an odd question knowing that the Duet was made in shape of the CLAS -dB but what portable DAPs from any price range pair well with the amp? Fiio? A&K? iBasso? Right now I’m stuck with my iPod Video 5.5g and I don’t really want to buy another iPod just to use with the CLAS. Thank you both!! Hi! Just want to know your thoughts.. Will enhancement be heard(not just being much louder) if I pair my ipod classic with the duet even without the SOLO yet? In both cases yes, but I would advise to use a solo if you can afford it. Mike or L, have either of you compared the DUET to the International (using the CLAS -db)? What I conclude from the review is that Duet focuses on lows and mids which might be a good thing for T90. Do you think it is a good option for T90? By the way, which Duet gain setting is best for T90? Do you think Duet could be a good amp for HD 800? Is it going to tame that 6k peak? It is a great amp, although I still suggest using a fill sized desktop amp with the HD800. No it doesn’t tame treble or peaks. Thanks for the reply. What amps do you think can tame that infamous 6k peak without modding HD 800? If taming the peak means reducing it, only an equalizer can do that. But a good tube amp can make the sound very pleasurable.